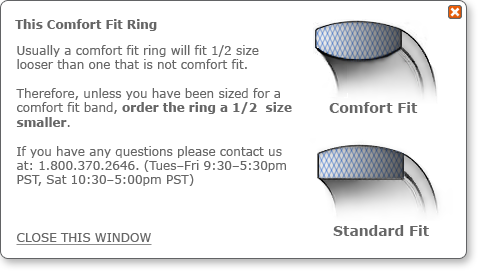 The BALLANTINE J.R. Yates® 8mm wide tungsten carbide ring is the perfect cross of clever design with personal comfort! 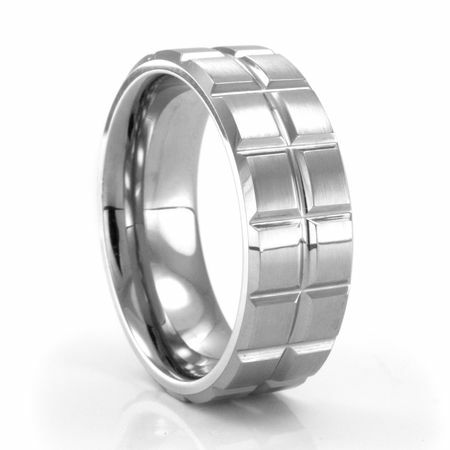 This handsome band boasts the rugged durability of Tungsten Carbide with brushed surface finish. If you are thinking about TC you can't go wrong with this one. i have the tradiontional 14K set but have developed horrible allergy to it. heard the TC is better for people like me so I'm giving it a shot. i have worn it exclusively for about a week and so far so good! could have never done that with my white gold set. also it is shiny and beautiful and requires no care so far. even after applying lotions or cooking, whatever just wash your hands and the brilliant shine is back. my gold set would have gotten yucky. Got this one for myself and I feel like Robocop. I looks so futuristic and yet it is comfortable too. Veeeeery Satisfied. It's a chunky piece of Jewelry all right. When we the misses and me were looking for a matching pair, we didn't have any luck. 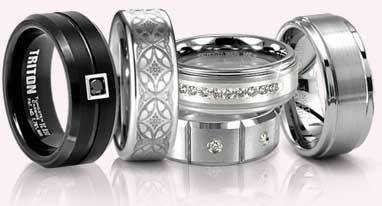 We went to Stylehive and they told us matching wedding bands went out at the turn of the century. So I found this one and she found some dainty number and we are both very happy. Came in a great box too. I wanted something to wear out to the clubs, something that would match my AX and I found it with you guys. This is da bomb when it catches the light just right. I am a jr. foreman on a skimmer crew. We have been working the same gig for the last 8 months and this ring looks brand new. I never take the thing off. Every time i look at this ring I am amazed at how heavy and well constructed it is. I bought it last month and am still very much impressed. All of the Yates signature rings looked unique but this one was easily my favorite. 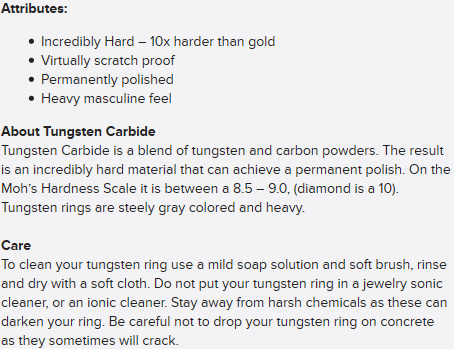 Like all real Tungsten jewelry, it never scratches. Although I guess if it did you could send it back to be polished. I read that somewhere. happy with purchase. Okay, i'm a loser. I forgot my cousins birthday until the last minute and I was in a sich. I was up late a couple night before and found this cool ring. Long short, ordered it and it came superfast. The box and everything was perfect, I looked like a rockstar. Thanks.